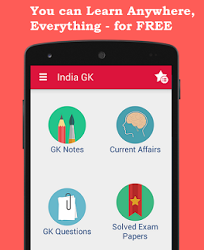 3, 4 March 2017 Current Affairs MCQs, Quiz, Questions: Current Affairs for March 2017, Daily Multiple Choice Questions (MCQs) for India GK, World GK and current affairs with Collection of daily objective type Question by www.Indiagk.net based on General Knowledge (GK) and General Science (GS) Questions for UPSC, State PSC, SSC, Police exam, Railway exam, SBI, Bank PO, IBPC, SSC, LDC, UDC, Army, Airforce, Navy, Coast Guard, Bank Clerk, TET and all entrance examination with current affairs News, Multiple Choice Questions (MCQs) available on Website www.IndiaGK.net and Android Apps with daily updates:. Amjad Hussain B. Sial on 3rd March assume charge as Secretary-General of SAARC. He is from which country? Which country recently transported Natural Gas under Camisea Gas Project? Syed Shahabuddin passes away on 4th March 2017. He was known for --- ? Explanation: All India Babri Masjid Action Committee leader Syed Shahabuddin passed away on 4th March 2017 morning in Noida hospital after a prolonged illness. Check Detail Explanation at INDIA GK" App: tinyurl.com/IndiaGK. Which two states recently agree to resume work on Shahpur Kandi dam project? Which country on 4th March expels North Korean ambassador over Kim's killing?